The Oak Madrid is faced with a beautiful oak veneer; this pre-finished door has two raised and shaped panels each with a distinctive checkerboard oak grained design. At the top is a rectangular panel and at the bottom, a square panel. The Madrid also features decorative V-grooves down either side of the central panels. 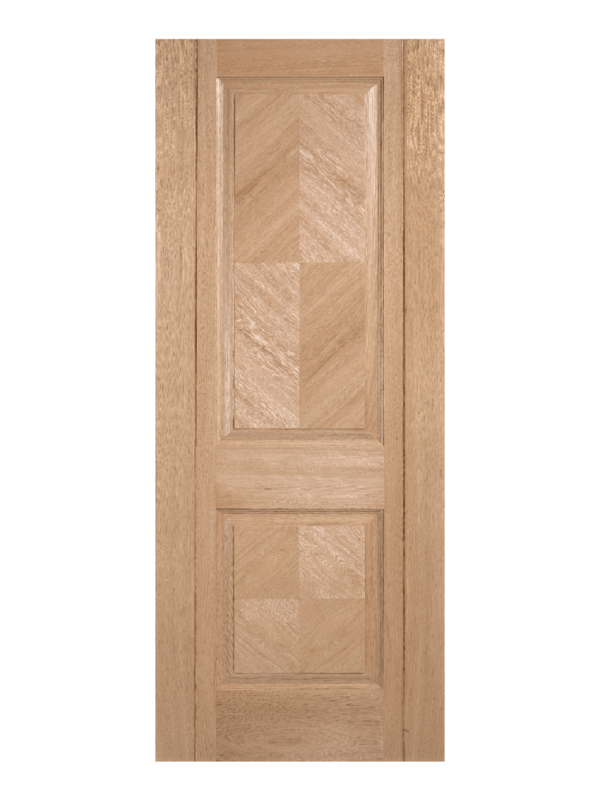 This is a manufactured door with 10mm solid oak lippings over a solid core. Recommended for any and all internal locations. Pre-finished it requires no further treatment and is ready to hang. It comes with a manufacturer’s 10-year warranty. Adjustments can be made on all sides up to the depth of the lipping to make it a perfect fit for new and existing door frames. Hinges and door handles are not included. 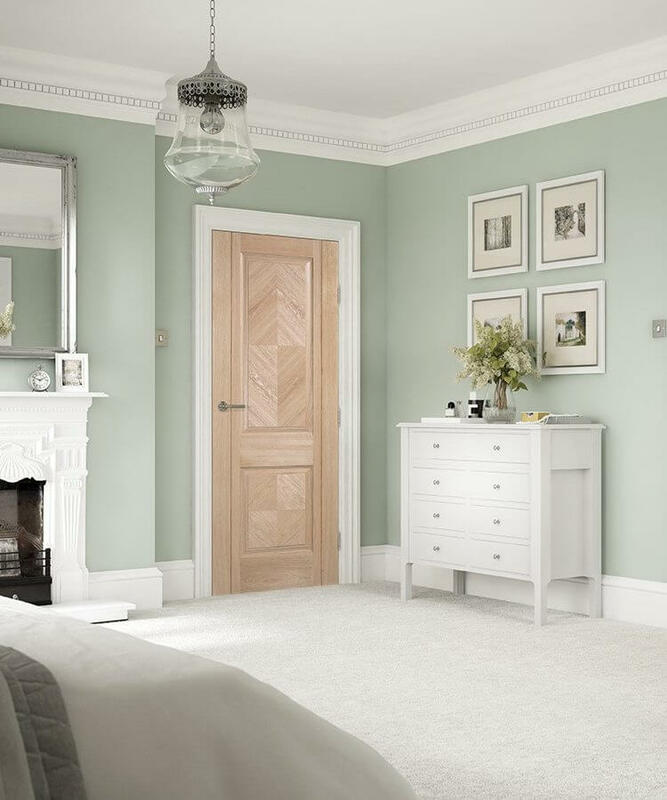 We always recommend a minimum of three hinges per door.